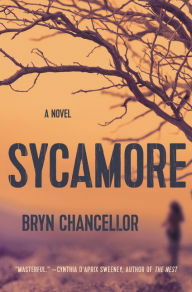 The Page 69 Test: "Sycamore"
Bryn Chancellor’s debut novel, Sycamore, is now out from Harper. Her story collection When Are You Coming Home? won the 2014 Prairie Schooner Book Prize, and her short fiction has appeared in Gulf Coast, Blackbird, Colorado Review, Crazyhorse, Phoebe, and elsewhere. Other honors include the Poets & Writers Maureen Egen Writers Exchange Award in fiction, and literary fellowships from the Alabama State Council on the Arts and the Arizona Commission on the Arts. She earned her M.F.A. in fiction from Vanderbilt University and is an assistant professor at the University of North Carolina at Charlotte. A native of California raised in Arizona, she is married to artist Timothy Winkler. What a great test! Sycamore interweaves two timelines—1991 and 2009—and my Page 69 is from the 1991 timeline, told from the perspective of Jess Winters, the teenager who goes missing in Sycamore in that same year. The page finds her at a heightened moment: on her seventeenth birthday, when she and her mother have been in town about a month after her parents’ recent divorce; her one friend in town has cut ties, and she has just taunted a group of popular girls who take revenge by scrawling slurs on her locker. On this page, Jess finds brief solace in her English classroom by staring at a poster of James Baldwin as her teacher recites Edna St. Vincent Millay. Jess has been scribbling her own poems privately in her notebooks (to which the reader is privy), and this moment reflects her obsession with language, which continues throughout the book. The second half of the page also includes her and her mother celebrating her birthday—the first celebration with just the two of them—and a mention of her absent father. So, happily, this page does pull in many of the threads from the whole book, at least from Jess’s point of view. "Mr. Iyer Goes to War"
"The Best of Adam Sharp"